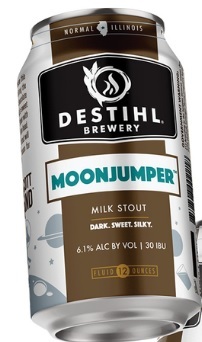 Fasten your space helmet because this stout will quickly have you orbiting the moon. Notes of roasted and chocolate malts, round out our milk stout's sweet side, creating a well-balanced beer with a smooth mouthfeel and creamy tan head. One sip of this medium-bodied stout will have you jumping over the moon for another.